I'm not one to post renders of cars that won't exist, but.. This is simply amazing. 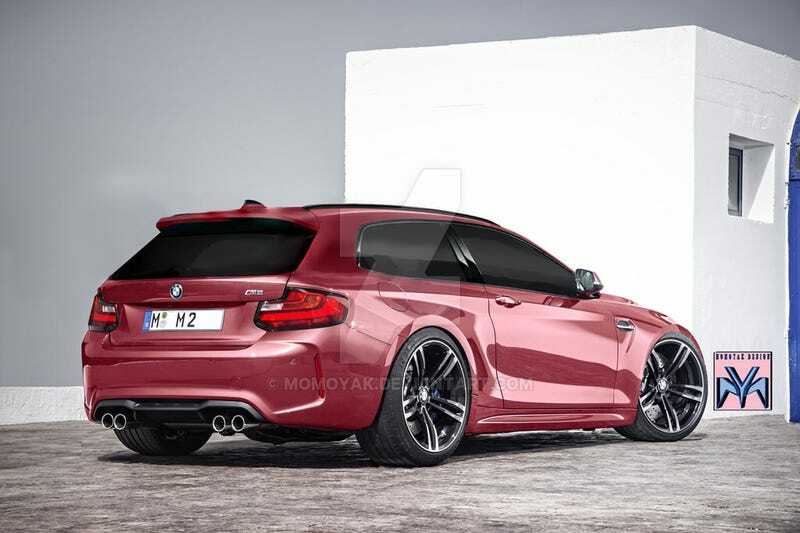 If you had the budget for an M2 shooting brake would you be mad for not immediately getting one? Mate not quite slammed like this render. Quite a bit of rub in the front I imagine.